ITS DRY AND OVERCAST THIS MORNING AND THE RIVER IS RUNNING WITH A HINT OF COLOUR IN IT AND SLIGHTLY ABOVE NORMAL . NEED I SAY ANY MORE ? 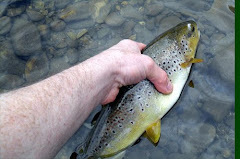 YESTERDAYS RAIN BROUGHT THE EDEN UP A FEW INCHES , BUT IT IS DROPPING NOW AND IS SLIGHTLY ABOVE AVERAGE WITH A BIT OF COLOUR IN IT , BUT FISHABLE. THE WEATHER IS OVERCAST AND DRY (AT THE MIN). ITS A WET MORNING AND IT LOOKS LIKE ITS BEEN RAINING QUITE A BIT DURING THE NIGHT. AS YET THE RIVER LEVEL IS UNAFFECTED ,BUT THIS MAY ALTER AS THE DAY GOES ON. ITS PRETTY MUCH THE SAME THIS MORNING AS THE LAST FEW , COOL AND MISTY AND THE EDEN IS IN GOOD SHAPE FOR A DAY ON THE RIVER. ITS A MISTY MORNING , BUT LOOKS LIKE IT COULD BE ANOTHER NICE DAY. 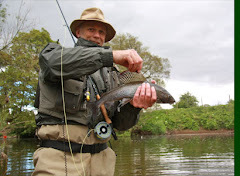 THE EDEN IS STILL RUNNING AT A PERFECT LEVEL AND BY ALL ACCOUNTS FISHING VERY WELL FOR EARLY SEASON . THE RIVER CONDITIONS ARE STILL VERY GOOD AND THE WEATHER IS DRY ,COOL AND MISTY. ITS AN OVERCAST AND BREEZY MORNING AND THE RIVER CONDITIONS ARE STILL VERY GOOD. ITS A STUNNING SPRING MORNING , A BIT COOL AT THE MIN, BUT WILL WARM UP LATER. THE EDEN IS STILL RUNNING AT A VERY GOOD LEVEL FOR A DAY ON THE RIVER. ITS A GREY MORNING , BUT IT IS DRY . THE EDEN HAS COME UP A TOUCH ,BUT IT IS STILL PERFECT FISHING CONDITIONS. ITS RAINING AT THE MOMENT AND ITS STILL QUITE COOL. 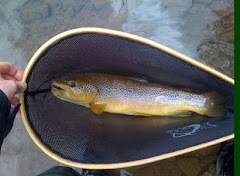 THE RIVER CONDITIONS ARE UNAFFECTED AND IT IS STILL RUNNING AT A PERFECT LEVEL. ITS A CLEAR ,COLD MORNING AND THE EDEN IS IN PERFECT CONDITION. IT IS A COLD MORNING WITH CLEAR SKIES , AT THE MIN. THE EDEN HAS DROPPED NICELY AND IS RUNNING AT A GOOD LEVEL WITH A TINGE OF COLOUR IN IT . ITS A COLD MORNING WITH SNOW ON THE SURROUNDING FELLS. THE RIVER LEVEL HAS DROPPED AND IS SLIGHTLY ABOVE THE NORM, BUT OK FOR A DAY ON THE RIVER. P.S. JOHN GARNER ASKED ME TO PASS ON HIS REGARDS TO THE COMMITTEE FOR THE AWARD OF THE "FROSTBITE CUP" FROM HIS HOSPITAL BED. John Garner is not turning out today so conditions must be bad. Blowing a gale with rain, sleet and snow. The river is also up. If you do travel and you do catch we will consider awarding you a cup. Have a nice day - beside the fire. AFTER YESTERDAYS RAIN IT HAS BROUGHT THE EDEN UP A FEW INCHES AND PUT A BIT OF COLOUR IN THE WATER , BUT IT IS STILL FISHABLE AT KIRKBY STEPHEN. (THE RIVER LEVEL MAY BE AFFECTED MORE DOWN STREAM OF KIRKBY AS THERE ARE MANY MORE BECKS THAT FEED THE EDEN BELOW HERE) THE WEATHER THIS MORNING IS DAMP UNDERFOOT AND BREEZY. THE EDEN IS IN PERFECT CONDITION FOR THE OPENING DAY OF THE SEASON AND THE WEATHER IS OVERCAST AND REASONABLY WARM FOR THIS TIME OF YEAR . GOOD LUCK. We are now just a few days away from the start of the new season. 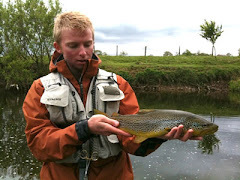 We will attempt, on this blog, to give a daily update on the condition of the River Eden at Kirkby Stephen throughout the season. Check before you travel. Tight lines.